LG is hoping to step out of Samsung's shadow a bit with the new G2. Having dropped the Optimus naming scheme, the G2 is the company's 2013 flagship, and it has the specs to earn the name. If the raw numbers don't get you, it's always got those back-facing buttons. AT&T is asking $199 for the G2 on a 2-year contract, or $575 without subsidy. If you want to save a little scratch up front, AT&T Next gets you the phone for $27 per month. The device is only for sale online at this time. It will come to AT&T retail stores on September 13th, which is a Friday. Spooky, yeah? 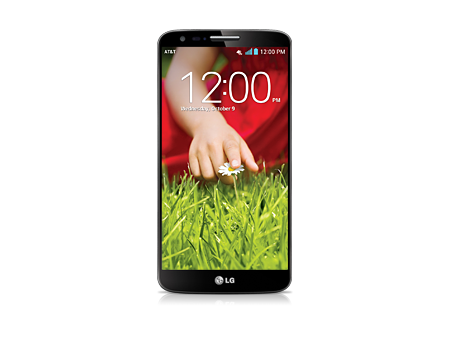 The LG G2 has a 5.2-inch 1080p LCD with insanely thin bezels. Around back is a 13MP camera and inside is a Qualcomm Snapdragon 800 quad-core ARM chip. You also get 2GB of RAM, a 3000mAh battery, and 32GB of storage. It runs Android 4.2 with LG's skin-job. Overall, not a bad-looking device.